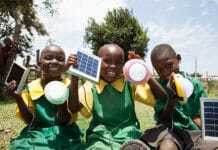 As the year 2017 draws to an end, it is imperative that Africa should measure its clean energy access achievements, re-evaluate its strategies and take actions to help the continent realize the sustainable energy future long envisaged; a continent with Affordable, Reliable and Sustainable power. The trio of Affordability, Reliability and Sustainability of energy is the United Nation’s Millennium Development goal 7 and it appears it’s most relevant and applicable in Africa (relative to other energy starved regions of the world). It could be said that in spite of the recent media buzz about the enormous potential of clean energy technologies such as solar power in Africa, on the ground progress has not matched the hype and growing sensation about solar power development in the region. Several countries, cities, communities and households in Africa still receive a very infinitesimal fraction of estimated power demand and power generation sources are yet to be dominated by clean technologies. As Africa goes into 2018, it’s critical that clean energy and energy access expansion stakeholders sustain the momentum. It’s even more critical that the lessons from the past be clearly delineated and subsequently incorporated into future projects, programs and policies. Broadly speaking, deal flows in the region have increased in the past two (2) years, with several projects completed, several under development and numerous others announced. Specifically speaking, Africa has managed to prove that its off-grid and on-grid solar projects are bankable. This is evident in the continents project development footprints dominated by the world’s top solar companies and funders. REIPPPP is an efficient and innovative approach to a country-specific renewable policy; it relies on private sector actors – as opposed to the South African government – to realize renewable energy projects. And the outcome? The Solarplaza’s 2016 report says “a good number of the largest African solar power plants are all located in South Africa, with the country hosting 29 of the 50 projects in the complete overview and 7 listings in the Top 10”. Between 2011 and 2014, through 4 separate auctions REIPPPP oversaw the award of 3634.42 MW worth of projects, totaling $13bn worth of investments. The 90MW Solar Capital de Aar 3 owned by Solar Capital, 86MW Mulilo-Sonnedix-Prieska developed by Juwi Renewables and owned by Sonnedix are some of the exemplary operational plants in Africa. Elsewhere in Algeria, operational on-grid projects such as the 90MW High Plateau East Adrar owned by Sonelgaz and developed by a consortium of Sinohydro corp, Yingli Green Energy Holding and Hydrochina further demonstrate what is possible with the right development climate and partners. In the “under developedment” solar project category, South Africa continues to lead in the number of announced projects according to a 2017 report by Solarplaza, trailed by Nigeria and Egypt. In June 2016, Nigeria announced several on-grid solar projects which are collectively expected to add about 1,100MW to the Nigerian grid (which is in a very poor state) .The Nigerian announcement followed months of regulatory reforms designed to help attract and optimize renewable energy investments. Although some of these projects are facing uncertainties and could likely miss their previously announced completion timelines, those that have progressed well could be expected to achieve major milestones in 2018 in the form of Final Investment Decision (FID) or commencement of construction. Furthermore, General Electric has two 100MW on-grid power projects planned in the Nigerian states of Niger and Borno. Scatec solar also has a 100MW planned on-grid project in Nigeria. Elsewhere in Djibouti, Ethiopia and Zimbabwe, Solaplaza has reported several planned on-grid projects ranging from 100MW to 300MW. For the first time, Renewables 2017 tracks off-grid solar PV applications more closely in developing Asia and sub Saharan Africa. 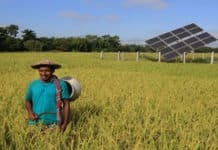 Over the forecast period, off-grid capacity in these regions will almost triple – reaching over 3,000 MW in 2022 – from industrial applications, solar home systems (SHSs), and mini-grids driven by government electrification programs, and private sector investments. 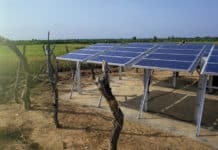 In Feb 2017, the United States Agency for International Development (USAID), said it will award a $4 million purse to multiple innovative, off-grid solar businesses working in sub-Saharan Africa (SSA). Estimated grant awards would range from $500,000 to $1.5 million according to report by Financial Nigeria. Earlier in January 2017, Nigeria’s Bank of Industry (BOI) announced a 1Billion Naira (USD 3.1 Million) off-grid solar fund, as part of its Green Energy Program with the UN Development Program (UNDP). The Bank hopes to help drive off-grid deployment in Nigeria where it could make a lot of difference for thousands of Small and Medium Scale Businesses as well as millions of households, all of whom are in dire need of power. In Nigeria’s case the falling price of off-grid solar equipment and expanding awareness has birthed a number of off-grid solar firms providing very affordable Small Household Solar (SHS) Solutions via Pay-As-You-Go model. Unlike East Africa where a handful of, off-grid solar firms are dominating the region-notably the Kenya-based M-KOPA – Nigeria’s share population has seen a competition between several firms that entered the market fairly recently. 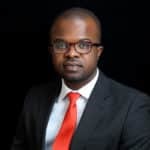 While data about off-gird solar market growth in Nigeria may be tough to track due to poor frameworks for market data collection; several on the ground reports and observations suggest there have been some serious growth and an increasing consumer appetite. Market growth could be mirrored by deal flows. 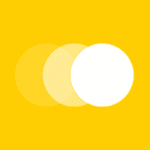 One report suggest that Africa-focused private equity firms in 4Q 2016 invested over $60 million in Nigerian mobile pay-go solar provider Mobisol and Netherlands-based Lumos Global. 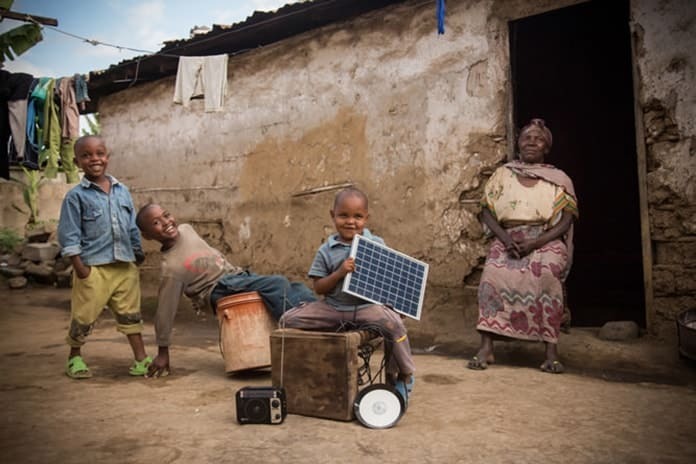 Lumos, Azuri and Total’s Awango solar are some of the other brands helping to expand the now promising off-grid frontier in Nigeria and West Africa. With these developments in the on-grid and off-grid sector, it can be said that the foundation has been laid for an accelerated solar power adoption in Africa. Current market players will continue to leverage their experience for achieving greater growth, while new market entrants will benefit from the ground-breaking work already done by the first movers. It’s also expected that the tangible progress being made will help rally more funding for new products and project as well as spur expansion initiatives. Challenges remain on the regulatory side, where governments and policy makers are still perceived to be ambivalent. The delay in conducting a renewable energy auction in countries like Nigeria is an example. The continued support of fossil-based power initiatives such as coal in some countries, as well as refusal to dismantle import policies that render solar equipment uncompetitive and expensive in some countries are some of the other areas of concern. If the momentum is sustained across all facets (regulatory incentives, facilitated access to finance, and best project/consumer frameworks) then Africa’s full electrification could be achieved even sooner that estimated. However, the projected population growth in Africa is a potent threat to recent achievements. This is because population-driven increase in power demand has the potential to quickly erode progress made in both the on-grid and off-grid side. The UN’s projection that half of the world’s population growth by 2050 would be in Africa is a call for stakeholders to double their efforts and call for the development of effective solar access expansion initiatives. One promising strategy for accelerated growth is the strengthening of partnerships between African countries and other nations that have made significant progress in solar power development. Another strategy is to look inward to critically identify great success stories in Africa – such as the REIPPPP- and isolate the key lessons. For sure Africa’s energetic future has to deal with sun energy. The issue is to build and bring an affordable access to solar electricity. That’s what Solar Africa Shop’s innovative concept is trying to do! Thanks for this interesting article Chijioke.